One question I get asked frequently is what brand of chalk markers I use and where to buy them, so I thought I would do a little review of the brands I’ve used. This is in no way all-encompassing because there are many brands of chalk markers. 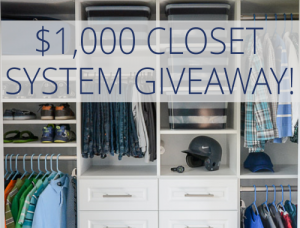 I’ll review four brands in this post. The first brand, Craft Smart, was the first chalk marker I bought. I believe I found it at Michael’s Craft Store over a year ago. While it is not my favorite marker for writing smoothly, it was the one that erased cleanly without the need for a Magic Eraser. Next, I used the Super Chalk brand marker. The ink seemed to fill the tip and write better than the Craft Smart brand, but there was a “scratchy” feeling to its writing. The appearance of the writing was fairly smooth, but it did leave thin wispy lines on the sides of the writing occasionally (not really visible in the picture below). It was also the marker I used to write on the vinyl labels that did not erase without the Magic Eraser. Next, I tried the Chalk Ink brand marker. I liked this broad chisel tip marker much better than the Craft Smart for its smooth writing ability. The ink filled the tip fully and wrote very cleanly, resulting in a great opaque look. As you can see in the picture below, with this chisel tip I was able to get smooth lines with the broad edge and also a fine tip using the point. Lastly, I tested the Marvy Uchida Bistro Markers. These were my favorite markers (although the Chalk Ink brand was a close second). Dislikes: colors (other than purple) were a little too fluorescent for my taste. As you can see in this picture, the lines of the Marvy Uchida markers are much more narrow than those written with the Super Chalk markers. However, this is a matter of personal preference and depending on your project, the broad lines may be the desired effect. I found the narrow lines much easier for writing on a small label as well. 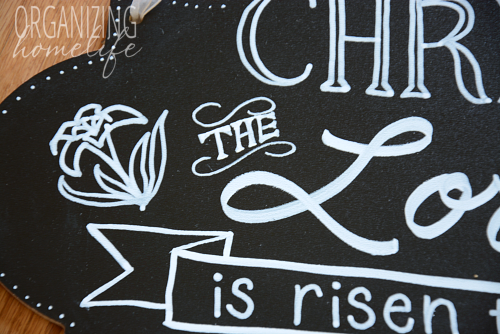 I created an Easter design on one of my chalkboard signs using my favorites of the markers I reviewed. You can see the different effects I was able to achieve with just two markers. I used the pointed tip of the Chalk Ink marker for the fine lines and the broad edge for the wide lines. I also used the Marvy Uchida marker for the flowers and the rounded writing. Would you like to see how my sign looked when I hung it up? I’m certainly no chalk artist, but it’s fun learning. Need inspiration? Just search Pinterest for “chalkboard art”. By the way, this is not a sponsored post. 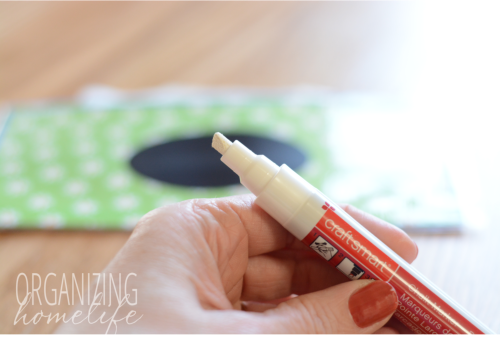 I’m sharing my experience using these brands of chalk markers. You may have had a completely different experience with the same brands. 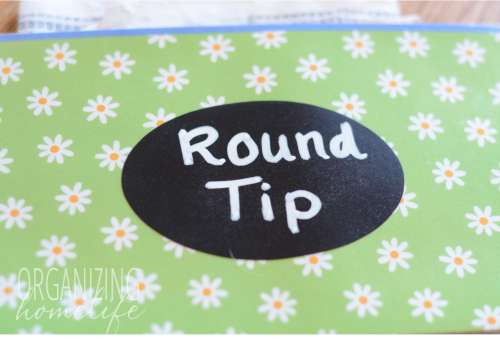 If you have a helpful tip or would like to share your experience, feel free to leave a comment below. *This post contains Amazon affiliate links. I sincerely appreciate your support of my site. Please see my full disclosure policy here. I loved the posts the past two days. 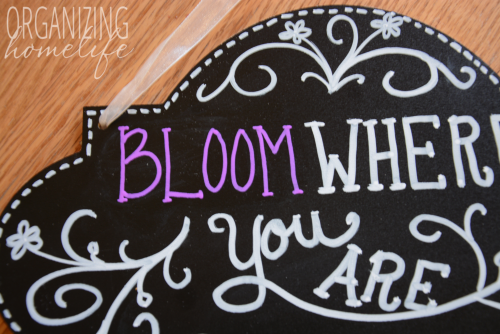 I adore using chalk board markers – although I am absolutely no artist…however your designs may inspire me! 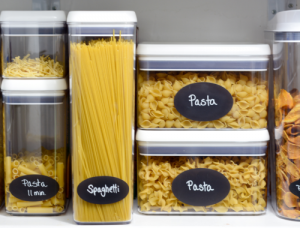 I have used them in very simple applications – weekly dinner menu, kids activities, etc. So artistic ability was not really what I was going for. 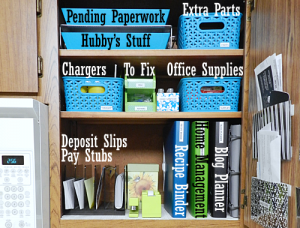 The chalkboard stickers might be a new addition to my home – love that! Perrrrrfect! Thank you soooo much! I bought a chalkboard for my new place and couldnt find a chalkpen I heard all about. Which brand does Dollar Tree carry? Thanks so much for the info. I had been wondering where and what to get. I have a question. 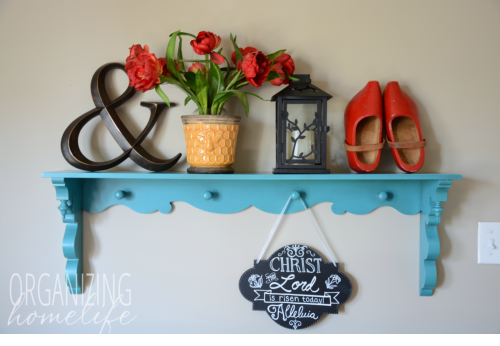 My boards are homemade with wood painted with chalk paint. Will theses work on that? They are a bit rough in texture. Thanks! Thanks for the tips! I have a blackboard frame in my family room and had a terrible time trying to erase my christmas art made with chalk ink. Now I am trying the Marvy Uchida and the Magic Eraser. Love your designs. Best. Very helpful. I’ve wanted to try chalk markers but didn’t know where to begin. Thank you! 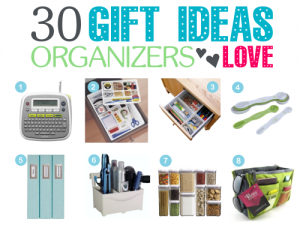 I love your ideas and my kitchen is MUCH more organized thanks to you! 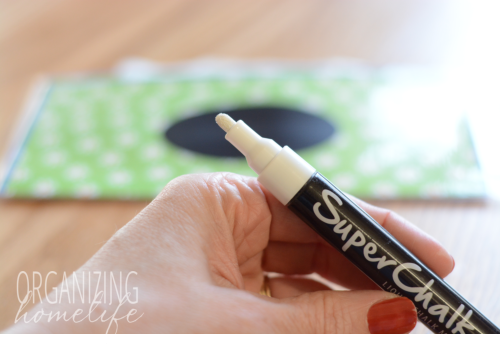 I wondered whether you’ve tried Stampin’ Up!’s new chalk marker? I’m a SU demonstrator, so I’m biased, but I’d love to hear how you think it compares. 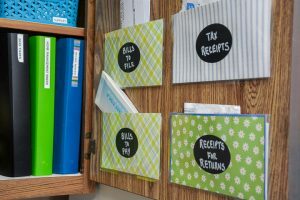 Here’s a link: http://www.stampinup.com/ECWeb/ProductDetails.aspx?productID=132133 . I’ve been using the Bistro markers for a little while and love them. I’m obsessed with chalkboard labels and I have a frame that I made into a chalkboard with vinyl on my front porch. I did recently find more sizes- a jumbo one with a 16 mm tip and then fine point ones. I got mine at Hobby Lobby but I think I remember seeing a small selection at Joanns as well. I just wanted to say that I used the Marvy Uchida Bistro Markers, and it took the magic eraser to remove them. Granted, it was on the board for a month. 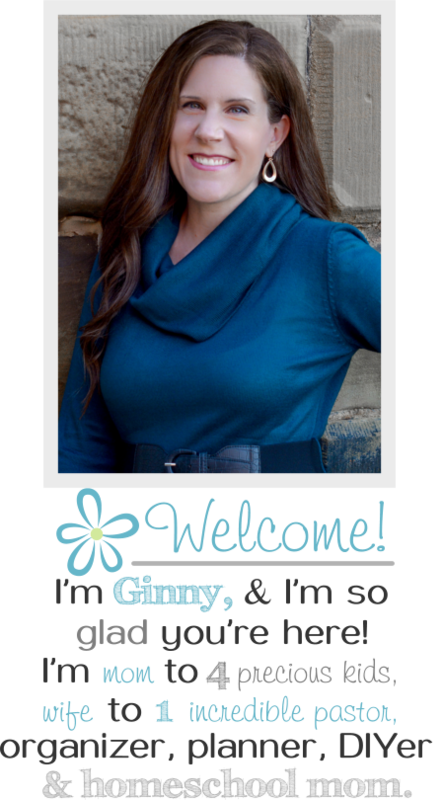 And thanks for that tip Ginny, I was going crazy trying to remove it! I used the same bistro makers and after just one day it didn’t completely erase with a damp cloth. Haven’t tried the magic eraser yet. It did come off a chalkboard contact paper with a damp cloth. 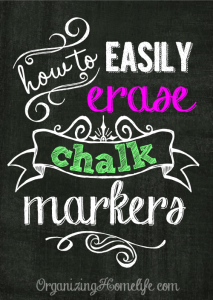 I’ve only used the Marvy Bistro chalk markers, and they did not erase with a damp cloth or windex….thanks for the magic eraser tip! 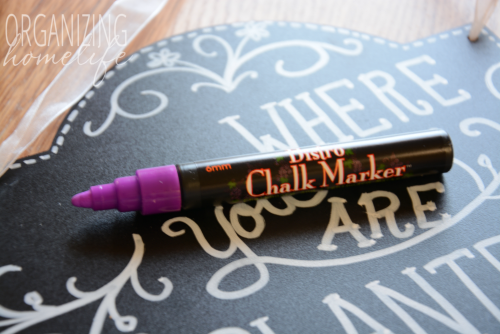 I’ve never heard of chalk markers, I take it they are only for chalk board material, what about chalk board paper and labels? 1. Liquid Chalkers from Paper & Twin (broad chisel tip) I dont like them, they have a “transparent” ink, the colors aren’t intense at all. 2. Uni Posca: round tip: “transparent” Ink too. I prefer broad chisel tips because you can do thin and smooth lines too. I’ll try Marvy Uchida Bistro markers for sure. Thanks! I just made a chalkboard, I had 3 coats of the chalkboard paint on it. I used the bistro chalk marker on it, I loved how it wrote. When I tried to erase it, it wouldn’t come off, this is where I found your website. I tried the magic eraser on it, it worked with a lot of hard scrubbing but it took my paint off as well. Do u have any hints or tips you can give me? 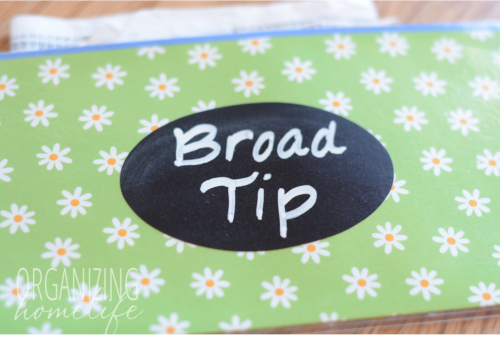 If you use chalk board paint you need to make sure you “season” the surface before writing on it. You “season” by rubbing the entire surface with regular chalk, sidewalk chalk, whatever you have. Wipe that off with a damp rag and allow to dry. Now, have at it! I also love the ones that you chose. I have to add my experience with Chalk This way brand. I was very disappointed with this one. The tip was very soft, not firm for a nice line. The “chalk” was not a nice white, like I was accustom to, more of a grey/white. The tips were not firm at the start, but continued to become softer and therefore not a nice line. 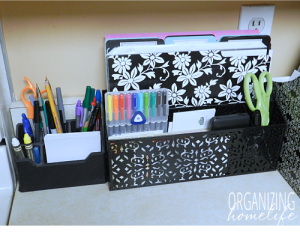 I use mine on a chalk board calendar that I change monthly, so I use them a lot! Unfortunately I bought several since I was ordering them from Amazon. I was happy to see that people have found them in several different stores, I will be checking! 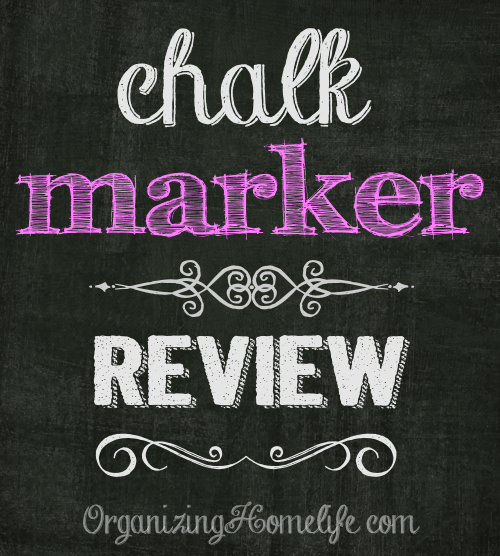 Thank you posting the reviews on the different markers as I’ve been doing chalk art for a while, but always with real chalk (so messy!). I’m not quite sure why I never thought to see if there were such things as chalk pens until today, but am I ever glad I looked into it! One company (I think it was Chalk Ink) said to remove the ink with Windex. Have you tried that for stubborn removal? Thank you for the magic eraser comment! It took off the Bistro Chalk marker from my board! I really enjoyed and appreciated your honest tips and opinions. Thank you! I’m renting a chalk board sign for a party and they said to use chalk board pens. I Pintrested how to make a chalkboard sign. But they all look like they only use chalk. Is there a difference in the type of chalkboard? Renting the chalkboard sign is as much as all my tables and chairs! Thank you. 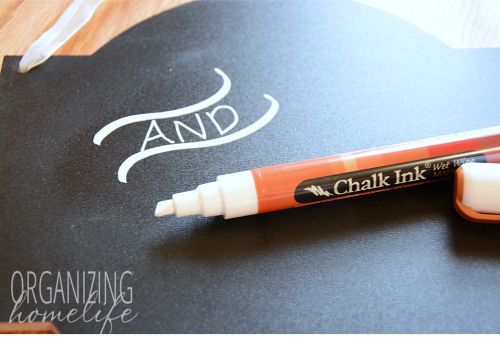 Have you tried American Metalcraft chalk markers? I bought an American Metalcraft chalkboard for my art studio and of course they recommend I use AM chalk markets but I’m curious to know if anyone has tried this brand. I also used the magic eraser to remove Bistro chalk marker, but unfortunately it also took off some of the chalk board as well. In addition there are still remnants of the letters despite all the color being gone. Essentially using colored chalk marker destroyed the board. 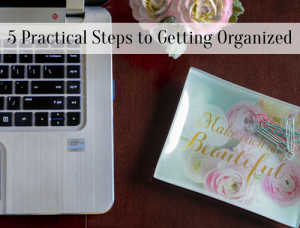 I was going to use it for a bridal shower. Now I’m not sure what to do. My husband suggested I try chalk board paint over it, but I have a spray and it didn’t work well on wood. Any suggestions? If you like to do an update of this article with our brand let us know. Artisan’s Effect is a leading brand of Chalk Markers. Thanks so much for this helpful info! I ended up ordering the Chalk Ink marker and I can’t wait to get it! I came here looking for better ways and chalk sets with more colors….never thought to use sidewalk chalks! duh me!!! I like using real chalk because of shading the pens seem to be very bold. Do any of them actually look like chalk in the end? The photos show all of them looking more like white paint or thin white paint. I WANT my design to look like I did it with an actual piece of chalk, but was hoping the chalk markers would afford more control than an actual piece of chalk. Any advice? I wish I had found this before buying about a million different markers.